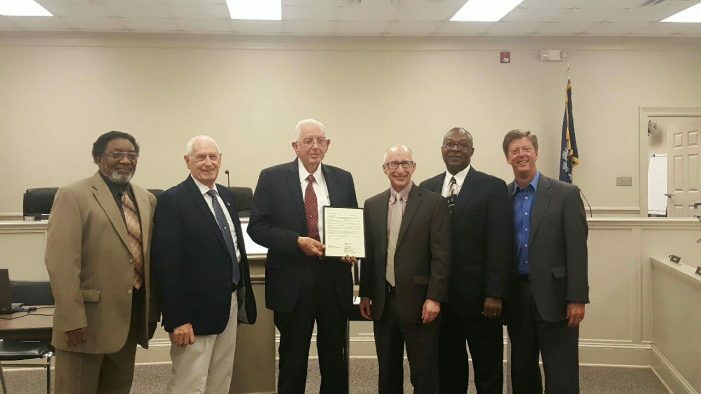 Edgefield County Council issued a resolution June 7 recognizing the accomplishments and works of W. Thurmond Burnett. Burnett served Edgefield County for 47 years as Coroner. Pictured are Councilmen Albert Talbert and Art Biggs, Thurmond Burnett, Council Chairman Dean Campbell, and Councilmen James Bibbs and Scott Cooper.